That law was abolished 20 years ago. Since 1994 you’re free to fish for crayfish whenever you want, as long as you have a permit. 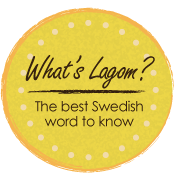 As a native New Yorker, I only knew about a few of these Swedish connection. Thanks Meg! It is true that New York is the cosmopolitan capital of the world. Very interesting your blog because I am following. Anytime you can go through mine. I moved to New York last month. I am so sad that I have missed Mamma Mia on Broadway. Moving was an adventure. New York is spectacular city. Best regards! Just discovered your blog and spent most of the afternoon going back in time with you. I must say I have learned more about the real day to day Sweden than I could ever have learned from other websites. I appreciate the effort you make to have informative and interesting posts. Your last entry is Sep 2015 – I do hope to see more posts. I also liked the FB page. I was absolutely stunned when I got to the post about the tacky, nasty comment from Texas&Beyond. Unbelievable. I have you bookmarked and will check back often! 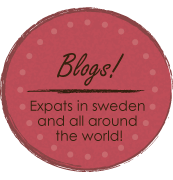 Hej, Just wanted to show your blog some love as it has some excellent info for those who are new to this country. Keep up the fantastic work. This post was fun to read! I would have never have guessed that there are so many Swedish things in NY!